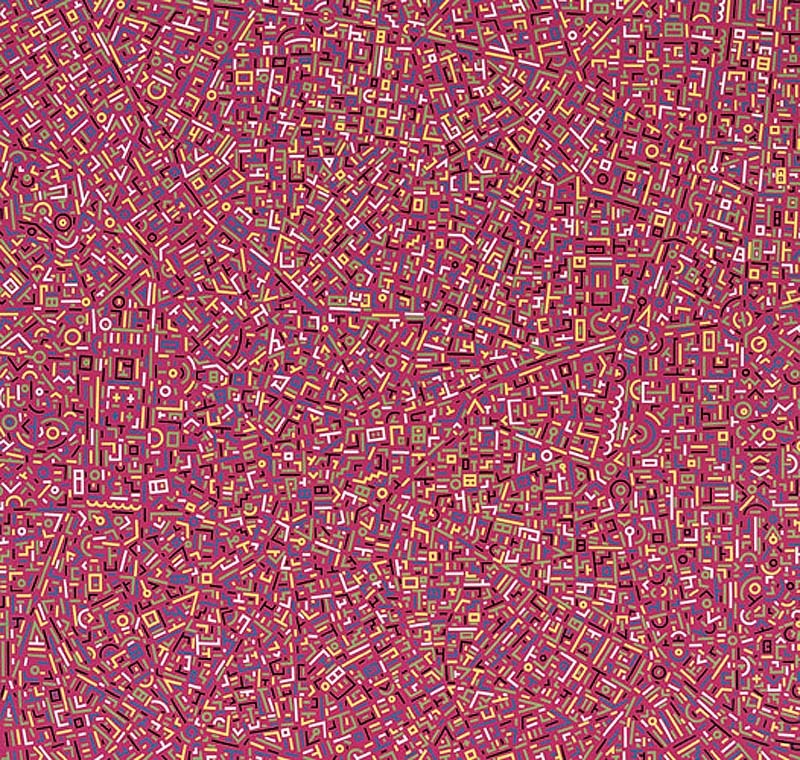 Shanghai-based artist Lin Xinjian was fascinated by the combination of uniqueness and uniformity in the patterns revealed by Google Earth’s views of cities. 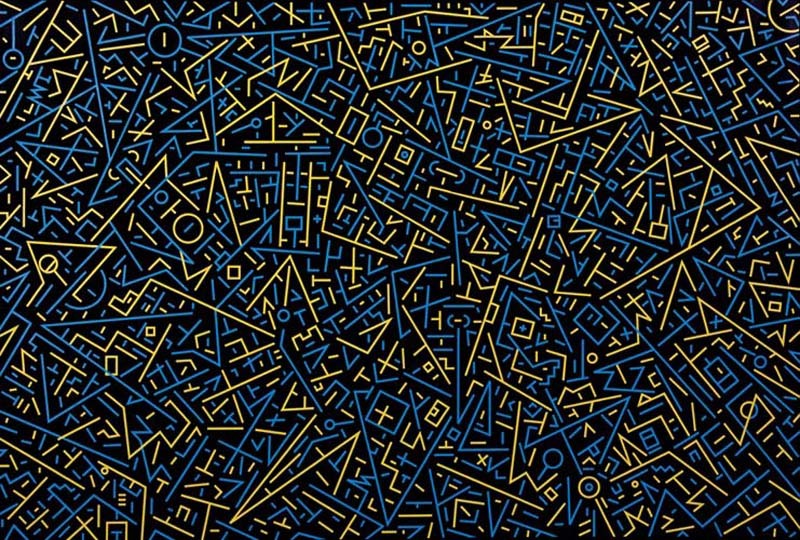 He began sketching the patterns he saw, making them into geometric shapes; a series of lines, curves, x’s and o’s. He calls these large canvases City DNA, borrowing the term from urban planning. Though not as minimal as Mondrian, it’s hard not to draw comparisons. Circuit boards come to mind as well. From top to bottom: Paris, Madrid, Manhattan, Los Angeles, Chiasso, Venice, London, and Beijing.